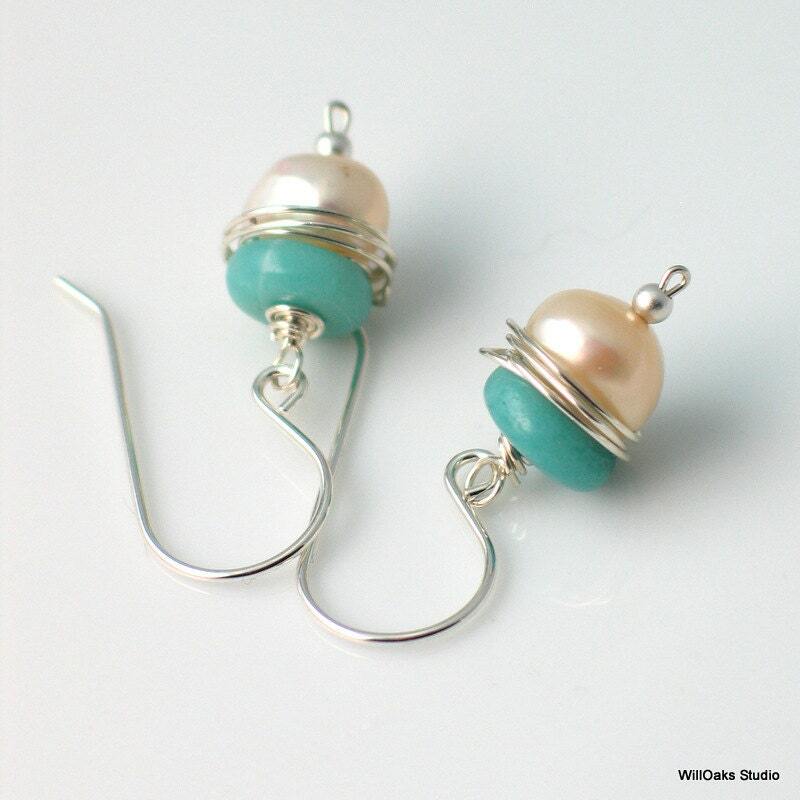 Rich aqua blue and lustrous white pearls joined with sterling silver then circled with a silver wire wrapped in wild abandon to create substantial freshwater pearl & stone drop earrings-a fresh original design. 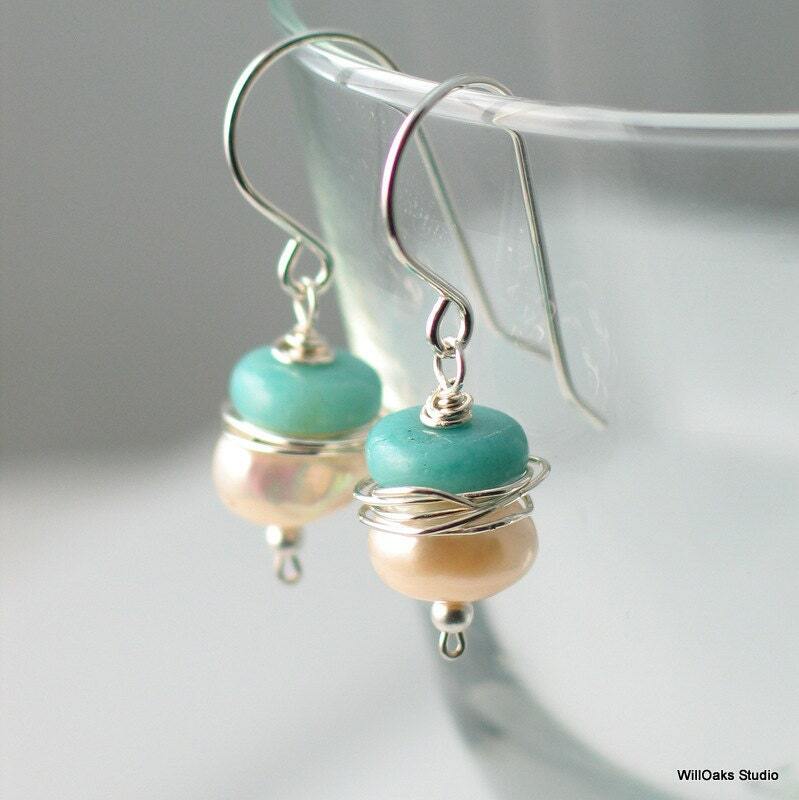 Off white button pearls about 9 mm and natural amazonite rondelles are fine for dressing up and for everyday wear--an eye catching duo. Hand formed sterling silver ear wires are made in my studio and tumbled for hardness and shine. A hand formed rustic ring of sterling silver wire is created by randomly winding silver wire to sit at the joint between the pearl and the stone. 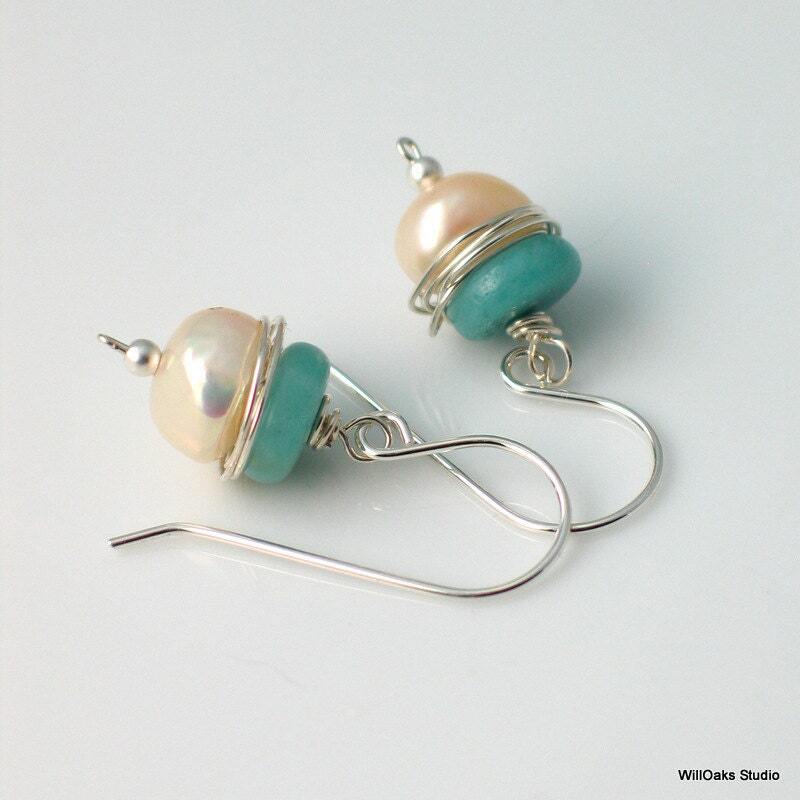 Natural materials for earrings that are a bit more complex than plain pearl earrings. Earrings measure just under 1 1/4" (31mm) long from the top of the ear wire. Presented in signature decorative gift boxes, all ready to give. 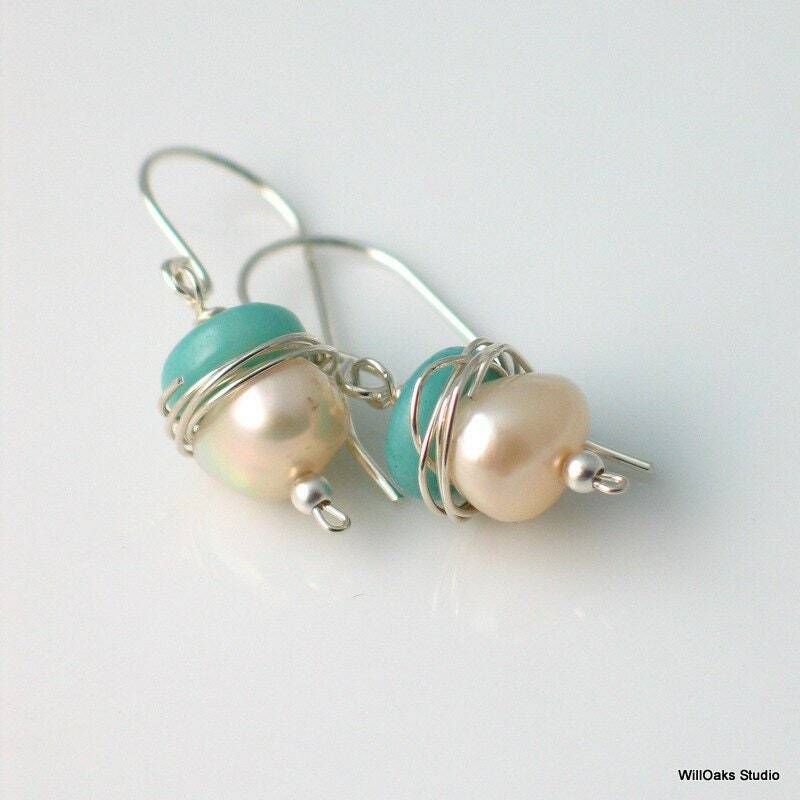 Find more pearls here in my studio http://www.etsy.com/shop/WillOaksStudio by checking my different sections or by putting "pearl" into the studio search box. ... and quite elegant for the price. Beautiful pair of earrings. Dress up or dress down. I'm SO happy with every piece of jewelry I purchased from this shop!! great match to the leather choker w/ pearl!